Before embarking on a new project with a client, we often guide them through a SWOT analysis. It is a management tool to assess your business from different perspectives and identify opportunities and risks. The acronym stands for Strengths – Weaknesses –Opportunities – Threats, and it is in no way a Stupid Waste Of Time. Strengths and weaknesses are internal factors over which you have control. Strengths identify the capabilities and positive aspects of your business and weaknesses reveal areas for improvement. Opportunities and threats come from the external environment, which can have a huge impact but is largely beyond your control. Opportunities relate to ways in which your business can grow and threats are potential risks. Some threats may seem overwhelming but can often be mitigated by preparing contingency plans. A well-executed SWOT analysis examines countless factors that can affect the performance, profitability and sustainability of your business. In this way it can help you make better business decisions pertaining to strategic direction, as well as operations, budgeting, product launches, rebranding and a host of other initiatives. Part of the value is going through the thought process, soliciting employee, partner and customer feedback and documenting findings. It is a useful first step before undertaking a major project and during the annual planning and budgeting process. 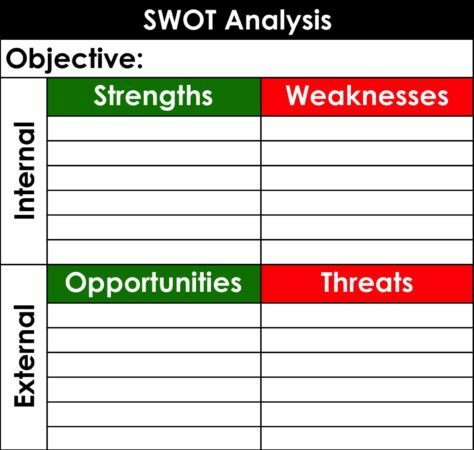 And if your business is not performing according to plan, a SWOT analysis can identify problem areas. Objectivity is the key to a meaningful SWOT that will be of value for business decisions. Be sure to involve all the business units in your company – finance, operations, procurement, human resources, marketing, sales, IT – to leverage insights from your cross-functional team. Also engage an unbiased third party, a valuable asset to challenge your thinking. These laundry lists are by no means all-inclusive. They should be tailored to the characteristics of your business and the objectives of the assessment. After conducting the SWOT analysis, prioritize next steps by identifying the factors with the biggest impact on business performance. Then tackle the low-hanging fruit. As a business owner, it’s easy to lose your objectivity. Taking a proactive approach to assess your operation through a critical lens will help you build a stronger, more sustainable business.